What started out simply as a day exploring a new-to-us part of London on our new bikes turned into an afternoon of garden hopping. Over the weekend, I only had one day off, and the weather happened to be glorious! So unlike typical British weather. 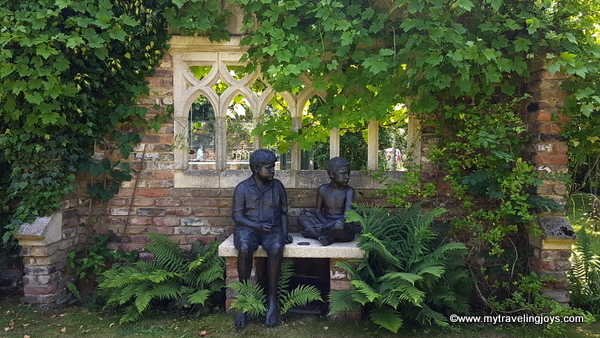 I like visiting gardens, such as Kew Gardens and Hampton Court that I’ve written about before, but today I wanted to head down to Ham House and Gardens. Well, we didn’t quite make it that far because after passing through Richmond Park, we cycled through the small “village” of Petersham, which happened to be hosting a gardens’ open house fundraiser. 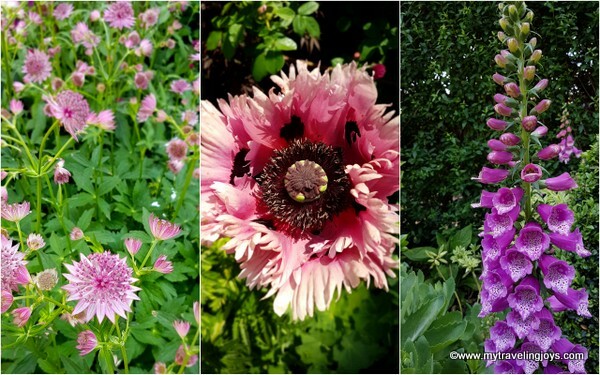 Several owners in the area joined together to open their private gardens to the public to raise money for local charities. We bought tickets on the spot. 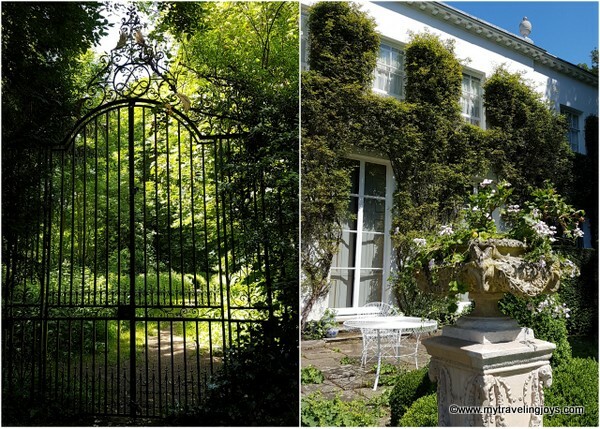 Behind a pair of ornate wrought-iron gates along Petersham Road is the entrance to Montrose House, which was one of the gardens for the event. The house is a late 17th-century Grade II listed building and is named after the 3rd Duke of Montrose, who was not the original owner. 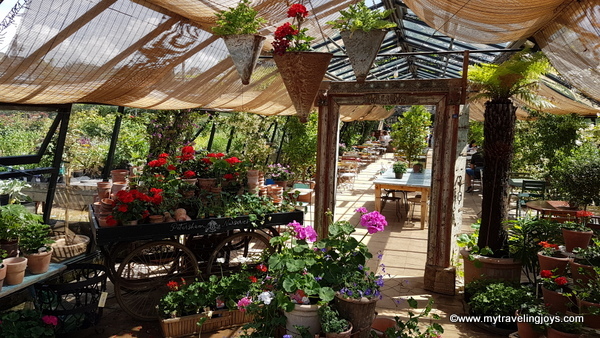 Well, this house boats not only expansive gardens but a greenhouse, not one, but TWO tennis courts as well as a cricket batting area and several large sculptures. Absolutely amazing! 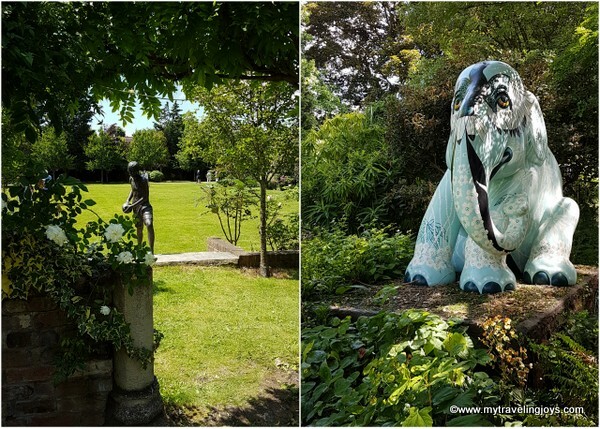 From here, we wandered through Petersham to check out the other gardens and houses. 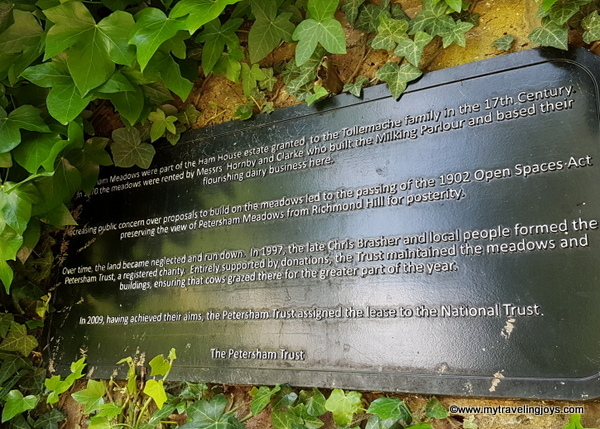 A little background on Petersham, it’s a village and parish in the Richmond district along the Thames River consisting of 660 acres and takes its name from having belonged to St. Peter’s Abbey at Chertsey back in the 11th century. 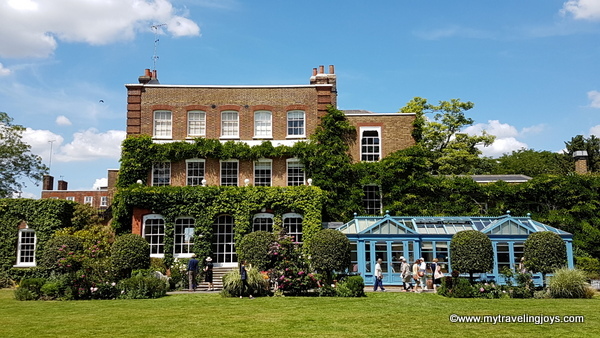 Well, we saw several of these grand houses and their splendid gardens on our mini tour of Petersham. 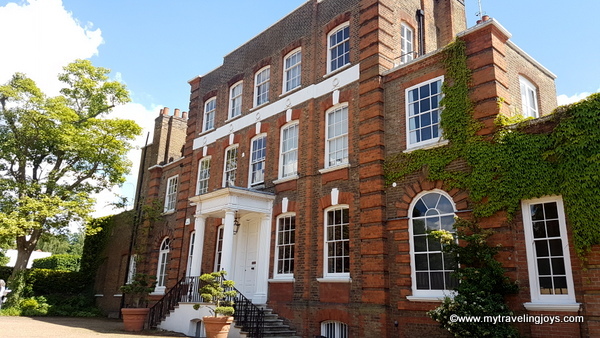 Petersham Lodge, another Grade II listed mansion, located on River Lane, was rebuilt in the early 18th century for the Duchess of Queensberry. In 1987, Prince Rupert Loewenstein, the longtime financial manager of the Rolling Stones, bought the property for £2 million and lived there until his death in 2014. 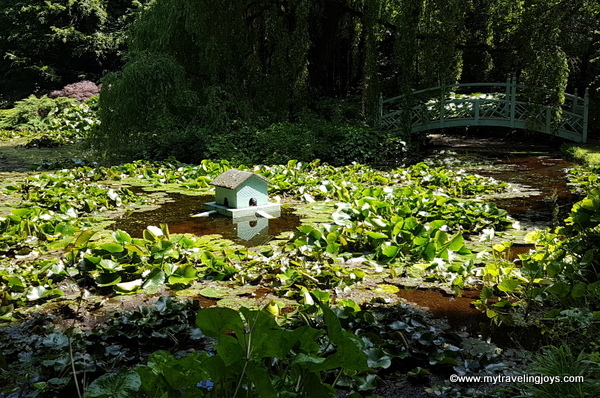 I can only imagine how much this massive property, with an impressive veg garden, water pond and greenhouses, is worth now! 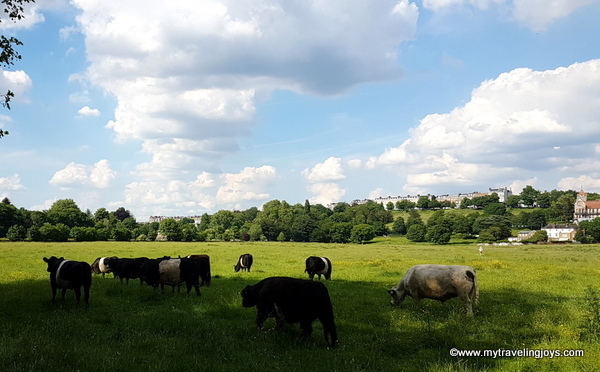 Outside of Petersham Lodge, I climbed over a fence into Petersham Meadows, one of the preserved farms that originally was part of the Ham House estate dating to the 17th century. Lovely dairy cows still graze here today, and I walked right amongst them taking photos. You take a girl out of the country, but….you know the rest. 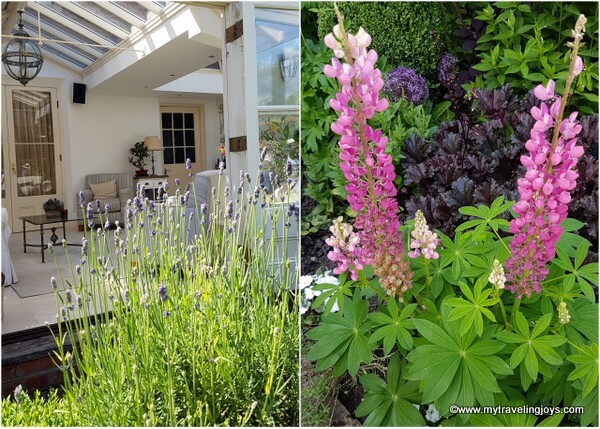 The Petersham gardens’ open house also featured two cottages, which both had some lovingly arranged flower gardens. 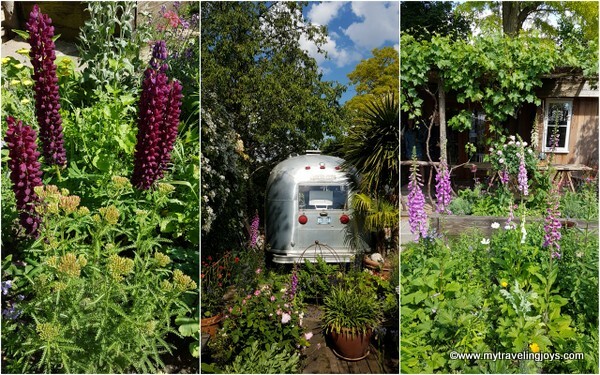 One garden even included an Airstream caravan purchased from Ohio, USA, and shipped over to London, which the owner uses as his personal office. How cool! 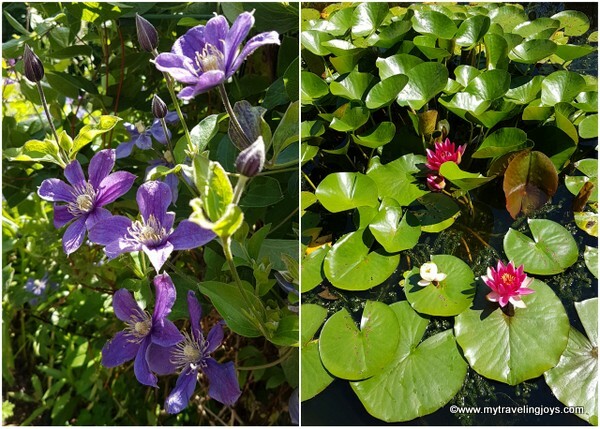 And, I even persuaded hubby to stop at Petersham Nurseries, which was a madhouse, but we looked at the lovely plants that I would like to buy. Well, this surprise tour of Petersham ended up being a delightful way to spend a Sunday in London. 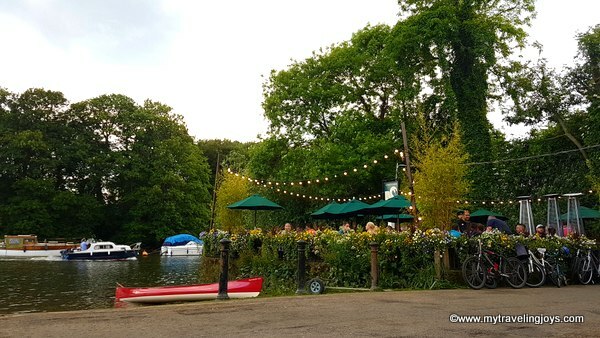 And of course, as how all weekends must end, we stopped at a riverside pub and enjoyed a pint of refreshing cider. 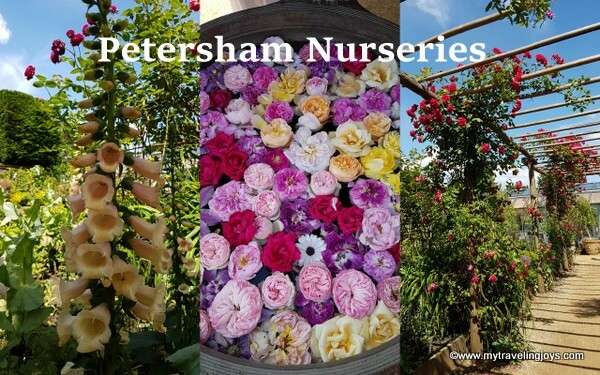 Isn't Petersham Nurseries famous for its restaurant? 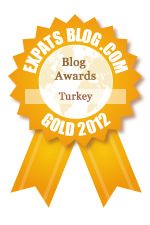 Thanks for sharing this wonderful article. I am very fond of nature and the pictures that you have shown are outstanding. I will try to visit these places soon and I think these places will be the best to visit in London. The best part is the way these gardens are designed, from garden gates to the interior natural beauty. Awesome!